“Mean “Jean “The Boxing Machine” hitting the heavy bag! New Westminster/Abbotsford – After running a successful Rock Steady Boxing program in New Westminster for three years, and recently founding IMPACT Parkinson’s Society, Head Coach, Robyn Murrell, says “I am excited to be able to help more people living with Parkinson’s by bringing this program to Abbotsford in April 2019. I’ve seen first hand how this program benefits people fighting back against the disease in more ways than one . Classes will be held at Matsqui Recreation Centre at 3106 Clearbrook Rd, Abbotsford on Mondays and Wednesdays from 1:00pm to 2:00pm. 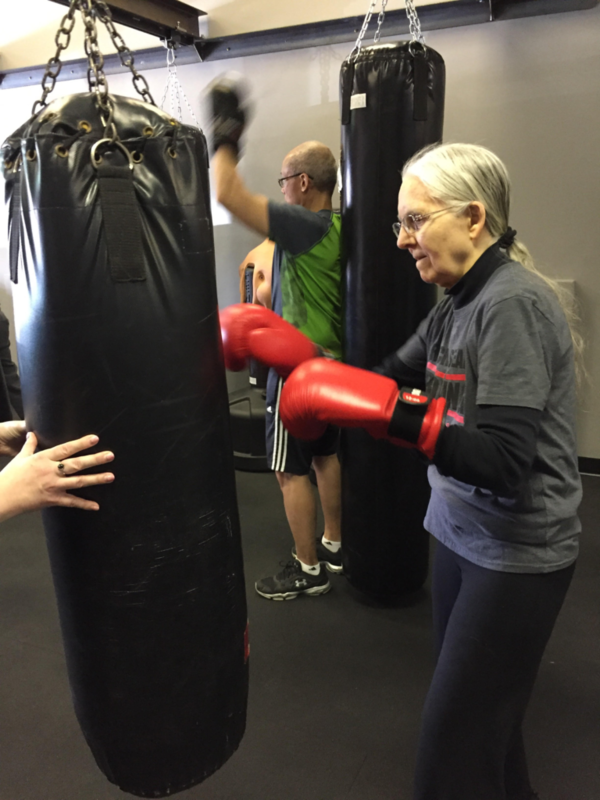 Rock Steady Boxing classes are divided into various levels based upon each person’s unique Parkinson’s symptoms and overall level of fitness. All potential boxers need to complete a 90 minute assessment with Head Coach, Murrell, to determine the class placement that would be of greatest benefit to them. Contact Head Coach Robyn Murrell for more details at abbotsfordfraser@rsbaffiliate.com or 778-323-1465. 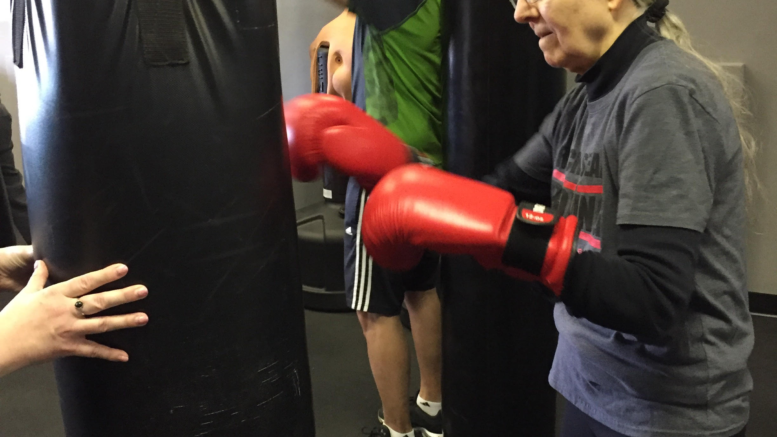 Be the first to comment on "Rock Steady Boxing for Parkinson’s Coming To Abbotsford In April"